Diamonds symbolize love for us. But for others, it means war and pain. Learn about conflict diamonds and what you can do to avoid buying one with bloodshed. Unfortunately, diamond purchases go beyond just the 4 C's. Blood diamonds are a major concern today. Unless you know a diamond's origin, your money could be helping fund civil wars in Africa. Not only that, but many diamonds come from mines with child labor and unsafe working conditions. We discuss the issues with blood diamonds below. We also help you learn how to avoid buying them. Read on to get the latest information on making one of the most important purchases of your life. Rival groups fight for control of the diamond mines. Diamonds help fund the rebel military to continue the war. Conflicts mostly occurred in central and Western Africa in the 1990's. The countries include: Angola, Democratic Republic of Congo, Ivory Coast, Liberia, Republic of Congo, and Sierra Leone. 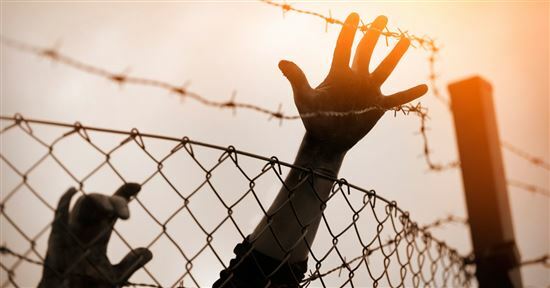 At the height of the wars, it was estimated that about 4% of the world's diamonds were from conflict areas. Today, efforts have been put in place to stop the trade of conflict diamonds. As a result, it's estimated that blood diamonds just make up about 1% of the world's diamond production now. But even this is not often enough. Continue reading to learn more. The good news is governments are doing things to prevent blood diamonds. But it's not always enough. Illegal smuggling and covering up poor tactics still exist. In 2000, two nonprofit agencies began shedding the light on the conflict diamond. Global Witness and Partnership Africa Canada began spreading the story of the blood diamond. They let the public know that the diamonds they bought helped fuel wars. The public became aware that their diamonds have bloodshed on them. This took away the sentiment of the "Diamonds are Forever" slogan. As a result, the diamond industry created the Kimberley Process. This is meant to make sure that the import/export of rough diamonds are not from conflict areas. 81 national governments jumped onboard. The process requires evaluation of the diamond-producing territory. Each shipment must have a Kimberley certificate that states the area is conflict-free. Only countries that implemented the Kimberley Process can legally export diamonds. In 2003, President Bush passed the Clean Diamond Trade Act in the United States. This made the Kimberley Process a part of the import/export of diamonds in the U.S. The idea was to help prevent the sale of blood diamonds in the country. Unfortunately, the Kimberley Process doesn't acknowledge all issues. It only bans diamonds from conflict areas. This definition only covers "rough diamonds used to finance wars against governments." Diamonds from these kinds of mines are still allowed by the Kimberley Process, just as long there's no presence of rebel groups. In addition, this process only applies to rough diamonds. As soon as a diamond has been cut and polished, it's out of Kimberley Process' hands. So how do you prevent the purchase of a conflict diamond? We discuss how below. Have an open dialogue with your jeweler. Ask him outright where the diamonds originated. 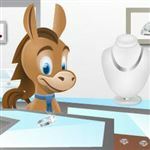 The jeweler should be able to trace the diamond from the mine to their store. If they can't, we suggest you move on. Tip: If you shop online, stores like Blue Nile and James Allen have strict policies against blood diamonds. However, as discussed above, just because it's conflict-free does not mean the diamond is free from other human rights issues. Brilliant Earth was founded on a principle that goes beyond just conflict-free. They source their diamonds from mines with fair wages and without human rights issues. They also donate 5% of their proceeds help provide economic development in diamond mining areas in Africa. They focus on areas that suffer from poor mining practices. They even started an initiative to build schools and provide education for children so they don't have to go work in the mines. You can also specifically search for diamonds from areas that engage in fair labor practices, such as diamonds mined from Canada. The governments in Botswana and Namibia also impose labor and environmental requirements in mines. One thing you can ask for is the System of Warranties. This paper trail certifies that the diamond is conflict-free. The Kimberley Process only affects the import/export of diamonds. Once cut and polished, it loses the power of the Kimberley Process. The System of Warranties continues the paper trail to the retail store. Each person handling the diamond must complete the statement that the diamond was purchased through legitimate sources. 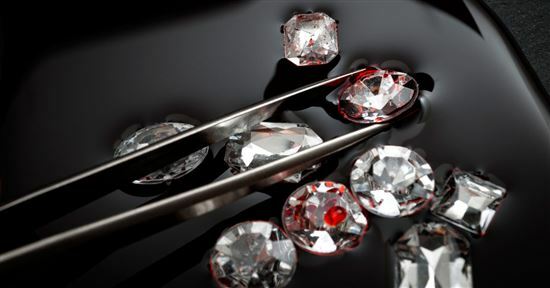 This creates the paper trail necessary for conflict-free diamonds. 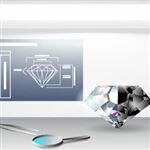 Lab-created diamonds: Lab-created diamonds prevent the exploitation issues. Instead of being mined from the Earth, these diamonds grow in a lab. As a bonus, they often cost less than mined diamonds. Buy antique: Antique diamonds offer sentiment and safety. Jewelers can change the look and even the shape of these diamonds. You can also pick another setting suited to your style. You can achieve a modern look even with an antique diamond. 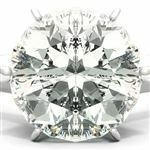 Diamond alternatives: Moissanite and cubic zirconia provide the strongest alternatives. Both are man-made and mimic the look of a diamond. They are also often much less expensive than a real diamond. Buying the right diamond is a personal choice. We are not here to tell you right from wrong. We provide you with the details so you can make your own decision. Our hope is that you buy the diamond that suits your budget the best while meeting your needs. We suggest you talk to your loved one. See where she stands on the conflict diamond. Then you can proceed, shopping at the stores you know don't sell blood diamonds. Share on Facebook "Conflict Diamonds: Facts You Need to Know"